How safe is Botox treatment? Do you often ask yourself this question? Well, then read on to know the answer! Botox is the most popular cosmetic surgery treatment, with more than 6 million Botox treatments administered each year. 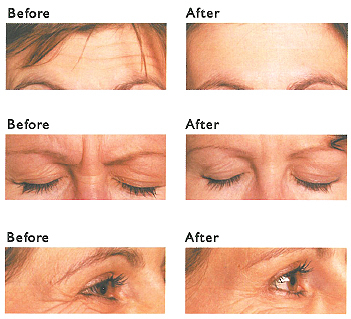 Botulinum toxin is used to reduce fine lines and wrinkles by paralyzing the underlying muscles. Botox works by weakening the muscles into which it is injected. As facial muscles contract, the loose skin above those muscles wrinkles. By weakening the muscles, the wrinkles are reduced. Botox is a drug made from a neurotoxin produced by the bacterium Clostridium botulinum called botulinum toxin. It is used medically to treat certain muscular conditions and cosmetically remove wrinkles by temporarily paralyzing muscles. Myobloc (RimabotulinumtoxinB or botulinum toxin type B). Yes, Botulinum toxin is one of the most poisonous substances known to man. Scientists have estimated that a single gram could kill as many as one million people and a couple of kilos could kill every human on earth. 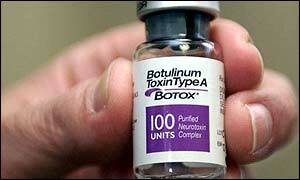 In high concentrations, botulinum toxin can result in botulism, a severe, life-threatening illness. Botulism, left untreated, may result in respiratory failure and death. 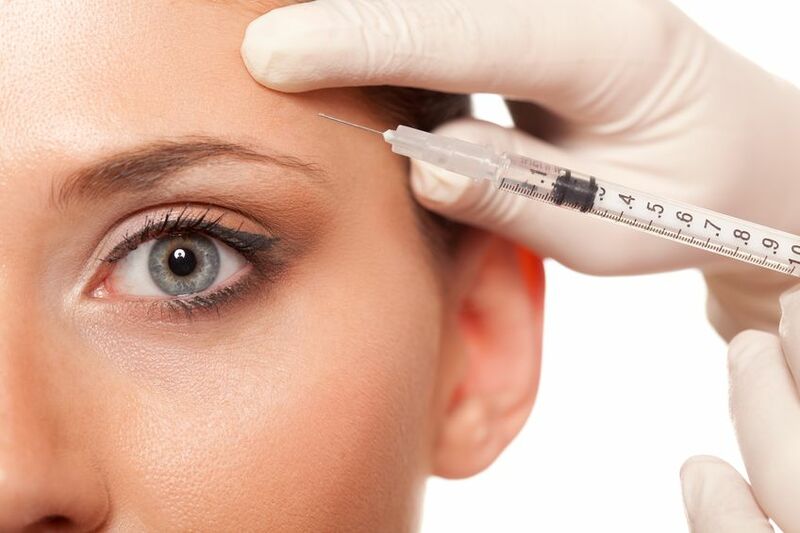 Despite botulinum toxin being so toxic and so costly, Botox is in huge demand. This is largely because only the dose makes the remedy poisonous. Even though its cosmetic use is well-known now, many people are apprehensive about going for this treatment. Anything done in excess will have its side-effects but when done properly and in moderation can do wonders for your skin. Botulinum toxin can be injected into humans in extremely small concentrations and works by preventing signals from the nerve cells reaching muscles, effectively leaving the muscles without instructions to contract, therefore paralyzing them. In order for muscles to contract, nerves release a chemical messenger, acetylcholine (a neurotransmitter), at the junction where the nerve endings meet muscle cells. The acetylcholine attaches to receptors on the muscle cells and causes the muscle cells to contract or shorten. Injected botulinum toxin prevents the release of acetylcholine, preventing contraction of the muscle cells. The effect of botulinum toxin causes a reduction in abnormal muscle contraction allowing the muscles to become less stiff. Botox is an extraordinarily safe drug which has been used in millions of people since its inception in the 80s. Botulinum toxin has proven to be a successful and valuable therapeutic protein when dosage, frequency of treatment and variety of treated clinical conditions are considered. People also use Botox to treat excessive sweating, migraines, muscular disorders, and some bladder and bowel disorders. A new study published in the journal JAMA Facial Plastic Surgery finds that Botox may improve the pliability and elasticity of skin for up to 4 months. In addition, the researchers found that Botox injections appeared to reverse damage to skin elasticity caused by exposure to ultraviolet (UV) radiation. Botox is only FDA approved to treat the lines that form between your brows. Off label it can also be used to treat horizontal forehead lines, crow’s feet, tiny bunny lines on the side of the nose and can give a gentle lift to the brows. While most doctors prefer to keep Botox to the upper third of the face, some also use it to lessen the bands around the neck, reduce some lip lines and in some cases give a more youthful decollete. The product is only as good as the provider. For a Botox that heals and helps, find someone experienced, with a conservative hand. Take a look at your nurse injector and see if their results seem natural. Start with a consultation. There should be a no cost, no pressure consultation. Get a feel for the practice and injector before you have your first treatment. Botox for cosmetic use is considered very safe when performed by a trained professional — a licensed, board-certified dermatologist or plastic surgeon. In the wrong hands, experts say this potent toxin has the potential to do real harm. Have the procedure performed only in the clinic of a trained physician with your medical history in hand. Like with any clinical treatment, Botox also needs meticulous aftercare. Make sure you stay upright for at least 2-4 hours post Botox. This helps ensure the Botox doesn’t migrate to someplace it shouldn’t and means don’t go to sleep or hit the yoga mat. You should also avoid touching your face with your hands (example: applying makeup) and make sure to also avoid sunbathing or tanning until all redness and swelling have subsided. Those who have medical conditions, such as damaged nerves or muscle complaints, should disclose this information during consultation, to avoid any complications. Botox is not recommended for any patients that have an allergy to Botox, a skin infection at the site of the injection, a muscle or nerve disease, breathing issues, swallowing issues, bleeding issues, an upcoming surgery, previous facial surgery, weak forehead muscles, drooping eyelids, or are pregnant or breast-feeding. While there are no clinical studies to show that the injection is harmful to the baby or mother, medical professionals advise against having treatment under these circumstances. ← Beauty Poll #67 – What is your ideal lip color?